Cardinal Newman Faith Resources Incorporated is in Church law a private lay association of Christ's faithful, canons 298 and 299 ff. In Civil law it is an incorporated association under the Department of Fair Trading of the Government of NSW. Our association includes some priests as well as laity. Originally, Cardinal Newman Faith Resources Inc. was called the Cardinal Newman Catechist Centre; then by permission of the Bishop of Parramatta (as required by canon 300), the Cardinal Newman Catholic Bookshop. However, these earlier titles proved too restrictive, hence our renaming. Our aims are that of the Second Vatican Council, as declared by Blessed John XXIII on the day that he opened it, 11 October 1962. "The greatest concern of the Second Vatican Council, is that the Sacred Deposit of Christian Doctrine should be guarded and taught more efficaciously." (The Documents of Vatican II, Abbott, p. 713). We are listed in the Official Directory of the Catholic Church in Australia under "Other Organizations" in the Archdiocese of Sydney. Bishop Anthony Fisher declared us to be an approved private enterprise in the Diocese of Parramatta on 14 September 2010. Cardinal Newman Faith Resources also provides a service to the Order of St Paul the First Hermit by making faith resources available for pilgrims who vist the Shrine of Our Lady of Mercy at Penrose Park, near Berrima, NSW. Our founder is Father James Tierney, author of the Catholic Family Catechism, who is a convert from Anglicanism. He graduated as a Bachelor of Science in Mathematics, Geology and Physics. Fr Tierney also attained a Diploma in Education, from the University of Sydney, 1953-1957 and was a Staff Sergeant in the Sydney University Regiment. He was ordained as a Priest in 1964 and has specialised in Family Catechetics. He earned membership into the Australian College of Education (M.A.C.E.) with a Programme for Apostles of Christ in High School in 1972. In 1974 Fr. Tierney set up the Cardinal Newman Catechist Centre (now Cardinal Newman Faith Resources Inc.), which Cardinal James Freeman declared (Clergy Conference 12 December 1974) "an approved private enterprise in the Archdiocese of Sydney." 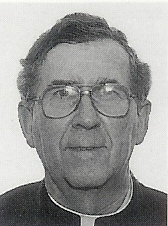 Father Tierney's first Catholic Family Catechism appeared in 1981. Cardinal Silvio Oddi, Prefect for the Congregation of the Clergy said of it "We do hope that your catechism will be widely used in all the English speaking countries." John Henry Newman was born on 21st February, 1801, in London, and baptized and brought up an Anglican. At Ealing School he underwent a spiritual conversion which set him on the road to perfection. After undergraduate study at Trinity College, Oxford, he was elected Fellow at Oriel College. Ordained in the Church of England, he became Vicar of St Mary's, Oxford, the university church, where his spiritual influence on his parishioners and the undergraduates was enormous. From 1833 he became the leader of the spiritual renewal known as the Oxford Movement, and wrote many of their Tracts for the Times. His studies of the Fathers of the Church led him to publish The Arians of The Fourth Century and The Church Of The Fathers. It also led him to the conclusion that the Roman Catholic Church was the `One Fold of Christ'. After a long interior struggle he was received into the Catholic Church on the 9th October, 1845, by Blessed Dominic Barbary at Littlemore, where he had retired to live a semi-monastic life. His act of faith was expressed in a theological masterpiece, An Essay On The Development of Christian Doctrine. Ostracized by relatives and friends, he was ordained priest in Rome and returned to England to found in Birmingham the first Oratorian Congregation in England. This was followed by a second Oratorian House in London, the Brompton Oratory, with fellow convert Father Frederick William Faber as superior. Newman was appointed the Rector of the Catholic University in Ireland, but unfortunately it was never more than words. Nevertheless, because of it, he was prompted to write The Idea Of A University. He founded the Oratory School in Birmingham. In 1864, he published his Apologia Pro Vita Sua (A Defence Of His Life), in which he vindicated his honesty in the Church of England against accusations of deceit and insincerity by Charles Kingsley, and he defended the Church of Rome. He wrote the Dream of Gerontius, a long poem and death, judgement and Purgatory, from which come the well-known hymns, Firmly I believe and Truly, and Praise To The Holiest In The Height. He also wrote A Grammar of Assent, on the meaning of faith and the act of faith. He worked tirelessly for the poor of his parish, and carried on an enormous correspondence, helping countless persons both Catholic and non-Catholic with their religious difficulties. He suffered much from the misunderstandings, suspicions and opposition of some ecclesiastical authorities. In 1879, Pope Leo XIII made him a cardinal to the joy of all England. Newman said, "The cloud is lifted from me for ever." His solemn address for the occasion explained how his entire life form the age of 15 had been a battle against Liberalism in religion, the belief that "one religion is as good as another, that none are true, none revealed by God." He wrote of himself, "From the age of fifteen, dogma has been the fundamental principle of my religion: I know no other religion; I cannot enter into the idea of any other sort of religion; religion, as a mere sentiment, is to me a dream and a mockery. As well can there be filial love without the fact of a father, as devotion without the fact of a Supreme Being." He also said, "From the age of fifteen a great change of thought took place in me. I fell under the influence of a definite Creed, and received into my intellect impressions of Dogma, which, through God's mercy, have never been effaced or obscured." He chose the words of St Francis de Sales for his cardinalate motto: Cor ad cor loquitur, Heart speaks to heart. At his death in 1890, it was said that he, more than any other man, had changed the attitude of non-Catholics to Catholics. From 15,000 to 20,000 people lined the streets as his body was borne to Rednal, eight miles away, for peaceful burial. The Cork Examiner affirmed, "Cardinal Newman goes to his grave with singular honour of being by all creeds and classes acknowledged as the just man made perfect."